Sonia and Brian tied the knot amidst a setting of beautiful decor perfect for their culturally rich love story. Brian and Sonia first met in 2015 at a restaurant in Germany that was hosting a Facebook get together. Sonia had been using Facebook to connect with other English speakers. Sonia elaborates, “I am German-Moroccan. I grew up speaking French and Arabic and moved to Germany at age 19…so I liked the idea of practicing my English and meeting native speakers.” Growing up watching Hollywood films, it was a dream to fall in love with an American, and once she met Brian, her dream came true. But it wasn’t until 2016 when they started dating. Brian messaged Sonia and they agreed on a first date in Mainz, Germany. They took a bus to a wine festival, where during an amusement ride, Brian took Sonia’s hand. Sparks flew immediately. Brian and Sonia were engaged on December 23, 2017, in New York City. It was Brian’s plan to propose in front of the Statue of Liberty, but the ferry wasn’t going to get them there in time. Onto plan B. “All of a sudden Brian started talking about how great it was for him to be with me on this boat…I didn’t understand he was proposing to me until he pulled out a ring box!” Sonia said yes right away. 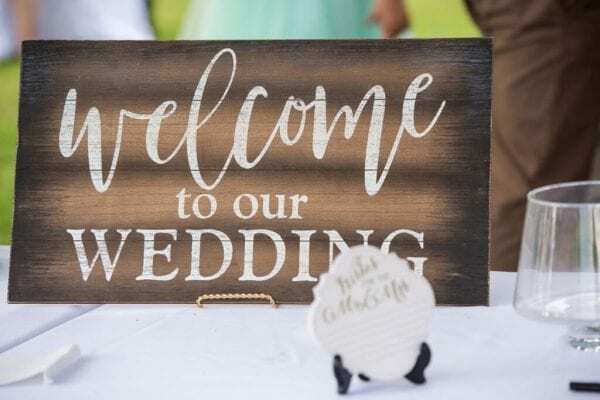 While the couple didn’t have a specific theme, they wanted their big day to reflect German, Moroccan, and American cultures, giving snippets into their life through food, entertainment, and music. 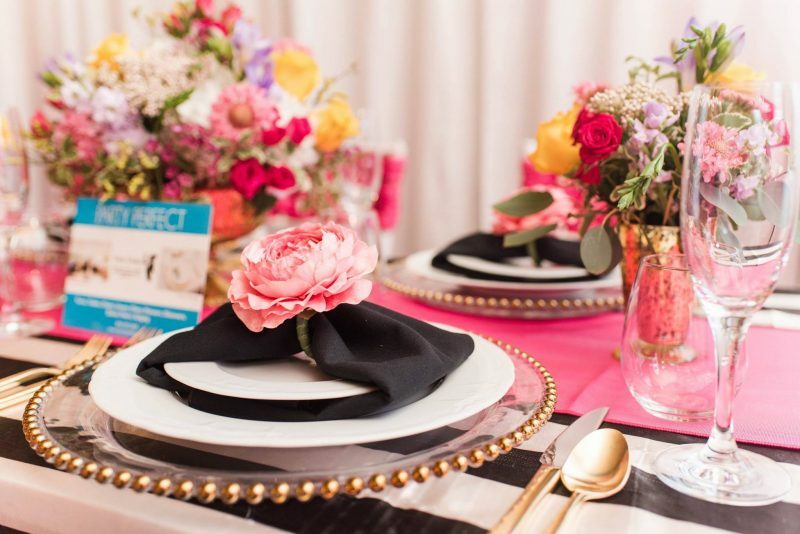 “The decor was only inspired by our wish to have a summer and colorful wedding.” Their colors were bright with magenta, poppy, and yellow creating a warm and welcoming vibe while keeping the integrity of their unique cultures. 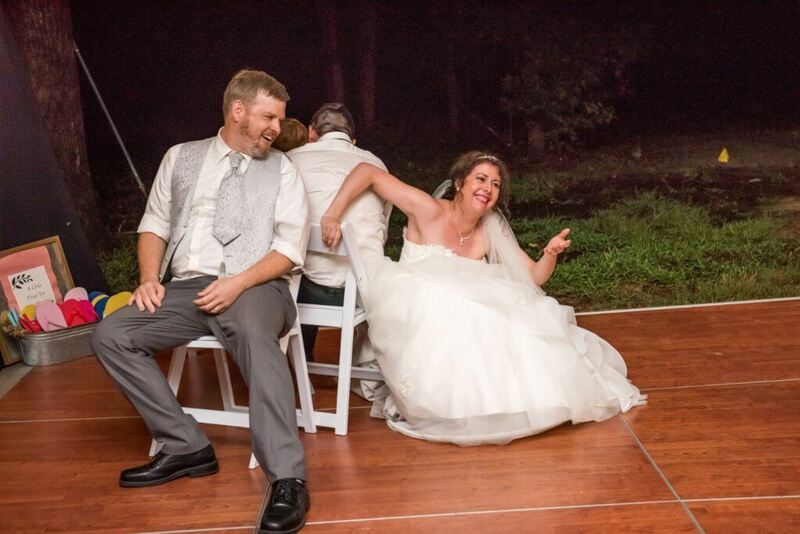 They played musical chairs, danced, and even had an auction for Sonia and Brian to do crazy dares! Their July night was an impressive celebration, bringing together a variety of cultures on a beautiful, warm summer night. Info Provided by Real Richmond Weddings, Courtesy of Marissa McCormick. Thanks to Melissa McCormick at Real Richmond Weddings for writing this interview, Brian & Sonia for sharing their big day, Awesomesauce Photography for these gorgeous photos, and all our friends at Party Perfect for helping us make it happen. 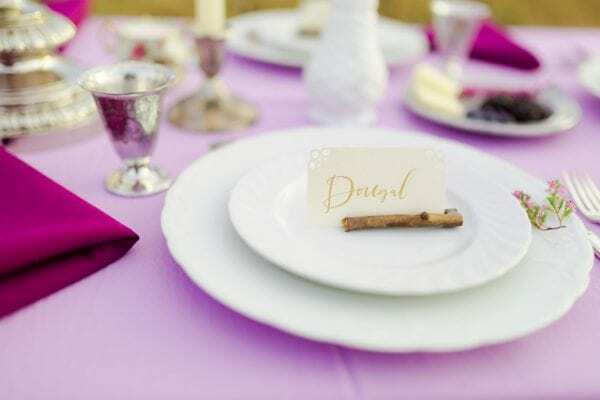 Continue Reading Full-Service Catering vs. Drop Off Catering: What’s the Difference? It’s all about the cocktails……tables, that is! From sashed to wrapped to floor length style, there are a million ways to dress up your cocktail tables from ceremony to reception. Get inspired with this guide to creative cocktail table styles.